You'll feel like you're away on vacation the second you surround yourself with Ashley's 6-Piece Quinden Post Bedroom Collection! The set's dreamy, weathered brown finish has such a tranquil ambience about it! 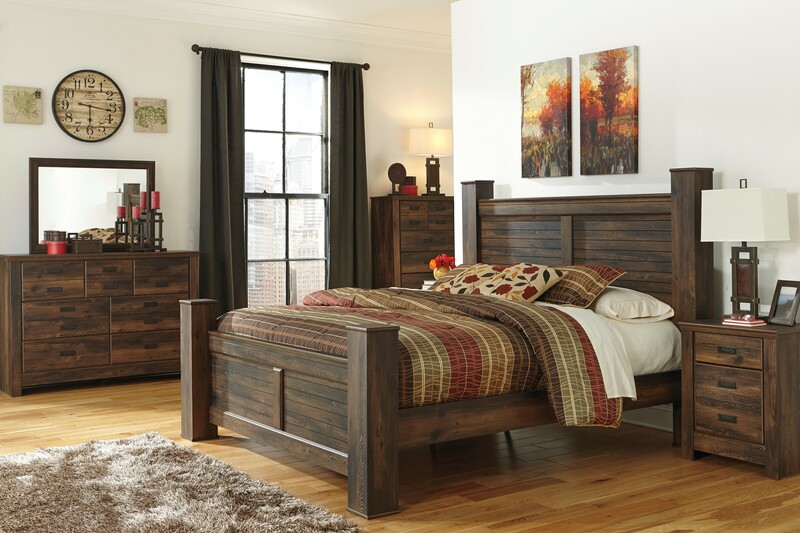 This rustic package includes a queen headboard, footboard, rails, dresser, mirror and chest. You can tuck extra blankets into the 2 drawers conveniently located at the foot of the bed. Nightstands and a fireplace insert are sold separately. Also available in king size, price will vary.